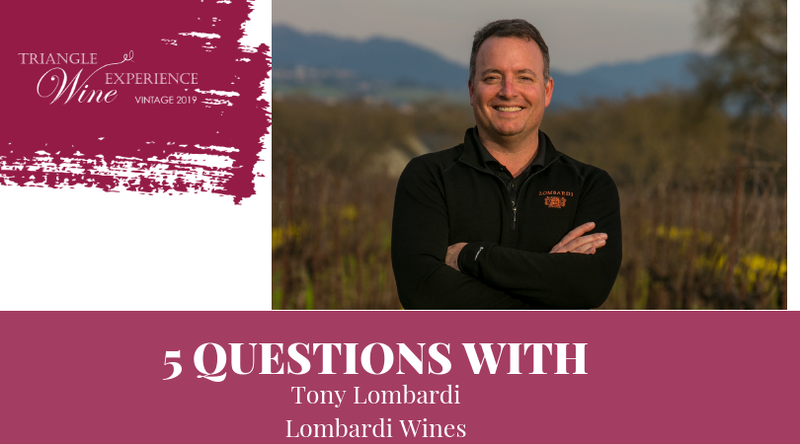 When asked to describe Tony Lombardi, winemaker at Lombardi Wines, the staff of Triangle Wine Experience said, “Tony is an angel, very generous, full of heart, one of the sweetest men on the planet!!! And “Tony is one of the kindest, most genuinely caring people I know. And he has a smile that makes you feel all’s right with the world! Water Street Bistro, Petaluma. Stephanie makes the most delicious quiche and pastries that will transport you to a Parisian Cafe. I love what I do, and I just remember that every breath and every moment is a gift and it can be taken away at any time, so I want to appreciate it and be grateful for it while it’s here. My wife, Christine. I’m inspired by the honesty and integrity in which she lives her life, in awe of the ferocity in which she protects the people she loves and moved by the unwavering support she gives to things she believes in. She makes me a better person every day. Two words … Eliza and Lenora. I believe that when you surround yourself with good people, great things happen. The meeting of these two amazing human beings and witnessing first hand, their incredible support of the Frankie Lemmon School is what did it for me. I’m grateful to be in a generous industry that supports so many worthwhile causes. That a bottle of wine can raise much needed funds and awareness for a lasting impact on children’s lives is simply humbling. I’m in!